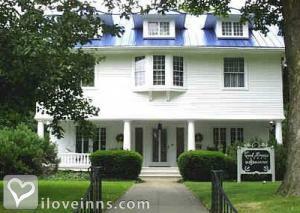 Evansville bed and breakfast travel guide for romantic, historic and adventure b&b's. Browse through the iLoveInns.com database of Evansville, Indiana bed and breakfasts and country inns to find detailed listings that include room rates, special deals and area activities. You can click on the 'check rates and availability' button to contact the innkeeper. Considering that it is the third largest city in the state of Indiana, there is simply no way that people would not know anything about Evansville. With its own distinctive beauty, aside from its relevance to the state's economy, Evansville has the capability of attracting people from the entire state or from all over the country. The innkeepers at Evansville bed and breakfast would confirm this statement. One of the major attractions in the city is located just a couple of miles away from the center. This is the USS LST Ship Memorial. Kids of all ages would never forget an Evansville trip if they are taken to the Mester Park Zoo and Botanical Garden. In the afternoon and to complete their day, they can spend hours of fun at Gattitown Pizza and Family Entertainment Center. Shows, conventions, and other similar activities are usually held at Evansville Auditorium and Convention Center. By Cool Breeze Estate B&B. Right smack at the center of an imaginary circle connecting St. Louis, Louisville, Nashville, and Indianapolis is the city of Evansville. Located on the shores of the amazing Ohio River, Evansville is now counted as the third largest city in the state of Indiana. Evansville has always been considered as having the best of both worlds, the quaint characteristic of a small town and the amenities of a big city sprinkled with charming residential areas and historic sites. Some of the fun activities that Evansville offers include a visit to the largest garden in Indiana -- the Botanic Garden. Do not forget the Mesker Park Zoo. Indulge yourself and your friends in the amazing Holiday World and Splashin Safari. While in town, stay at any of the Evansville bed and breakfast inns. It would be great if you can catch one of the largest street festivals in the country, the West Side Nut Club Festival. By Cool Breeze Estate B&B.